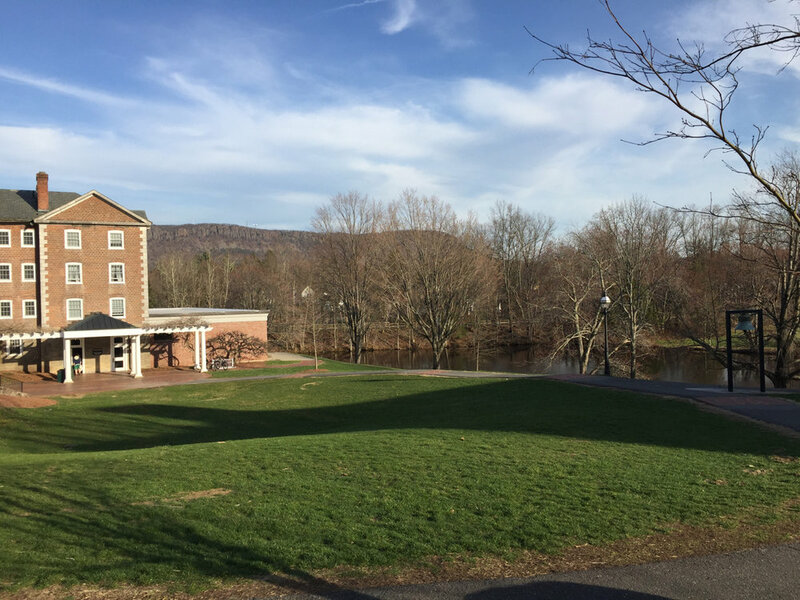 Recently I spent two weeks in the small town of Easthampton, Massachusetts as a visiting artist in residence for the Williston Northampton School's Grum Project. It was a wonderful experience filled with discussions, painting, and education, all revolving around the pursuit of art. I'm just starting to piece it all together, to process it, since it was such a condensed trip. 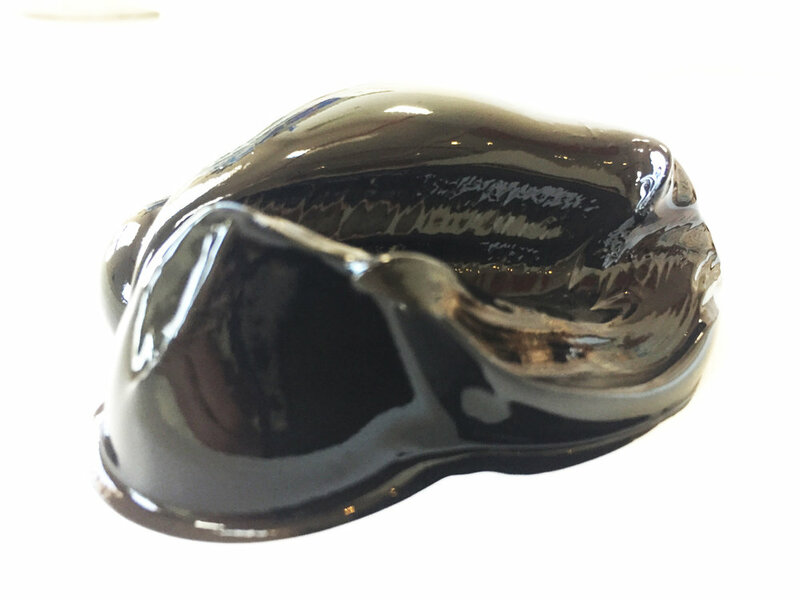 Thoughts about the 'unknowns' in life and stepping into uncharted territories evolved prior, during, and after the visit, and this post details much of that journey visually with some notes throughout. The painting I finished while there was given the name 'The Welcome Unknown', an idea I developed while considering how the students (and all of us throughout life) encounter the shared feeling of facing moments of departure into the unfamiliar. Life, if nothing else, has music in its varying degree of the unknown. A morning routine, the coffee we tend to order at a cafe, the familiar walk home seem as expected ripples superimposed on the larger wobbles between that which is anticipated and what is any variation of surprise. Sometimes a big unknown is right around the corner. But as long as we move forward, corner or not, the horizon of our experience tends to find us. 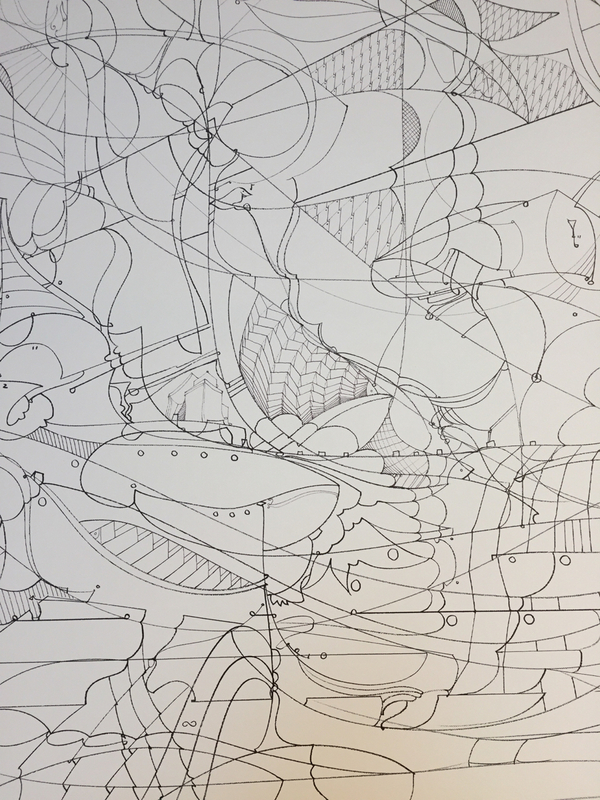 When I received an email in December 2016 from Natania Hume, the head of the art department at Williston, describing the recent donation to the school creating the Grum Project, the funding of which enables diverse artistic professionals to visit the school and work with students, it created one of those moments where the mind starts to rev its (earnest but often ineffectual) engine in trying to imagine what that sort of this unknown experience would look like. After a little research and an initial quick chat over the phone with Natania to discuss the opportunity a little further, I realized that a majority of this opportunity would fall under the exciting but daunting umbrella of 'new', and therefore had my wheels turning when developing a proposal for a visit to Williston. 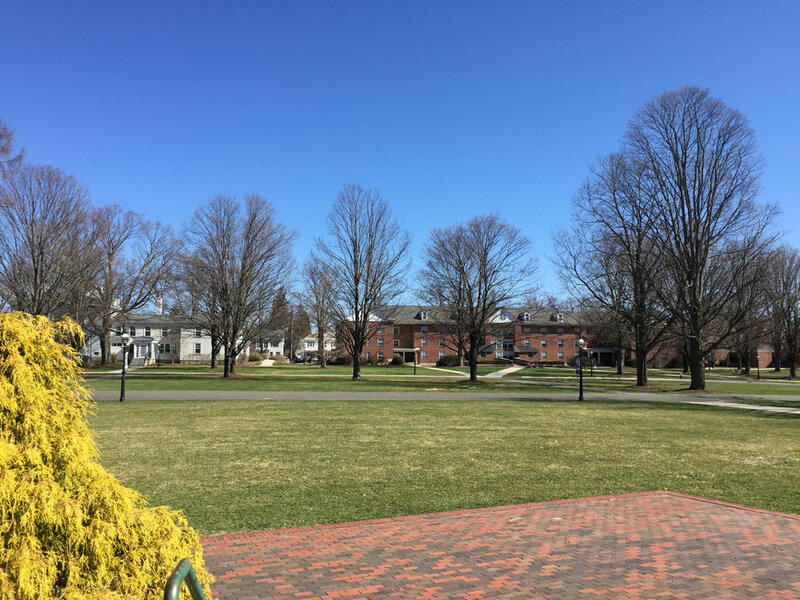 The world of private boarding schools (foreign to me at the time), working intensively with students, and being immersed into Williston's historic campus life were all far cries from the typical day-to-day of studio work of my life as an artist. This chronicle aims to convey what the visit was like and will rely on photos for the most part, but I have to say from the offset that it was an experience rich in ways that I can only imagine are unique to the particular history of the area, to the spirit of the Grum Project, and to the curiosity-propelled learning environment cultivated by the students and faculty of Williston, and was thus built upon many of the undocumented moments in-between. 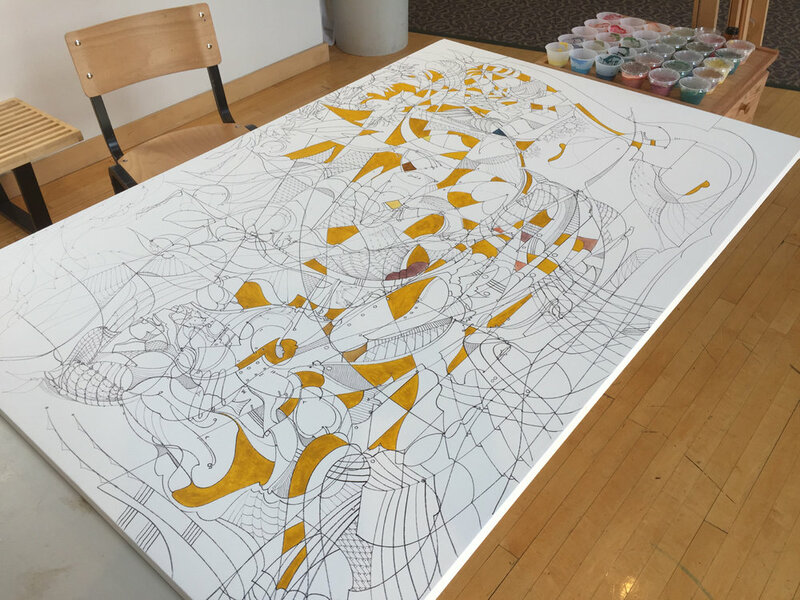 Begin and work to completion on a large painting in an open area that students and faculty could visit and observe the process along the way. The visit was scheduled for April 2nd-15th, 2017, and before long I was boarding a plane from Boise heading toward Massachusetts. 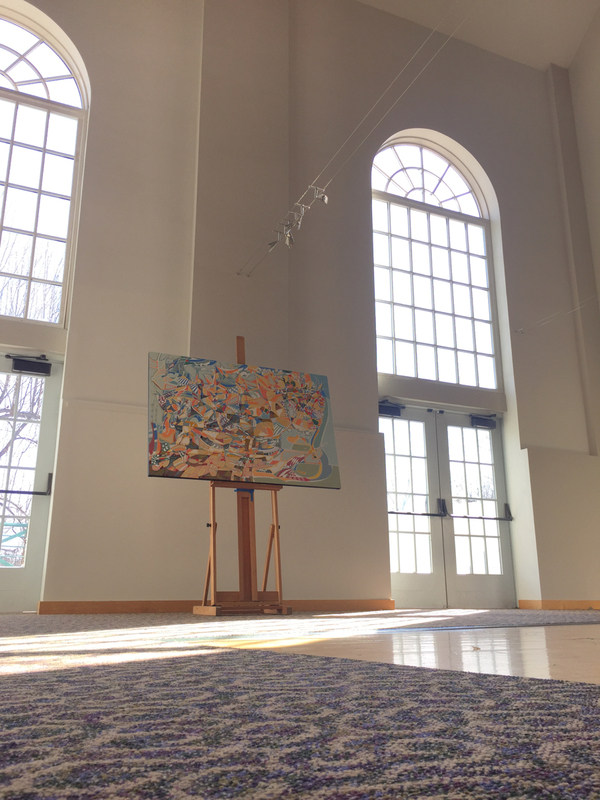 Here is the documentation from the experience in photos and descriptions, and a time-lapse of my completed painting done at Williston appears at the end. 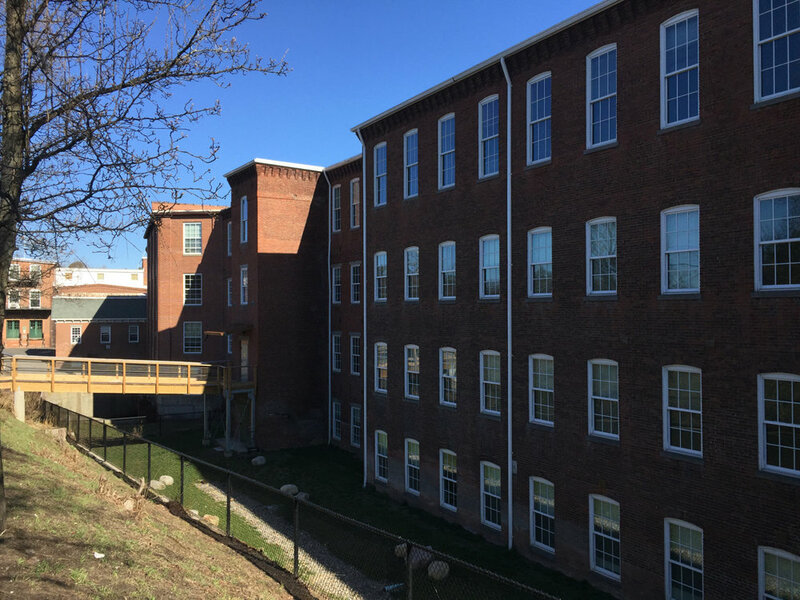 Standing in the middle of the quad one can see the historic buildings that house both classrooms and are homes to students and teachers. 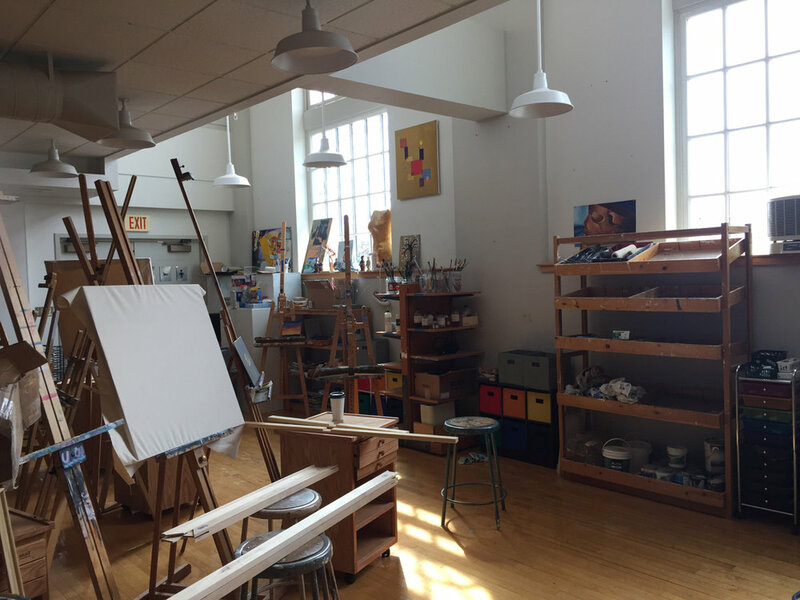 Some of the first glimpses into the Reed Center's painting studio. The building has four working studios: drawing / printmaking, painting, ceramics, and a large photography lab complete with darkroom. 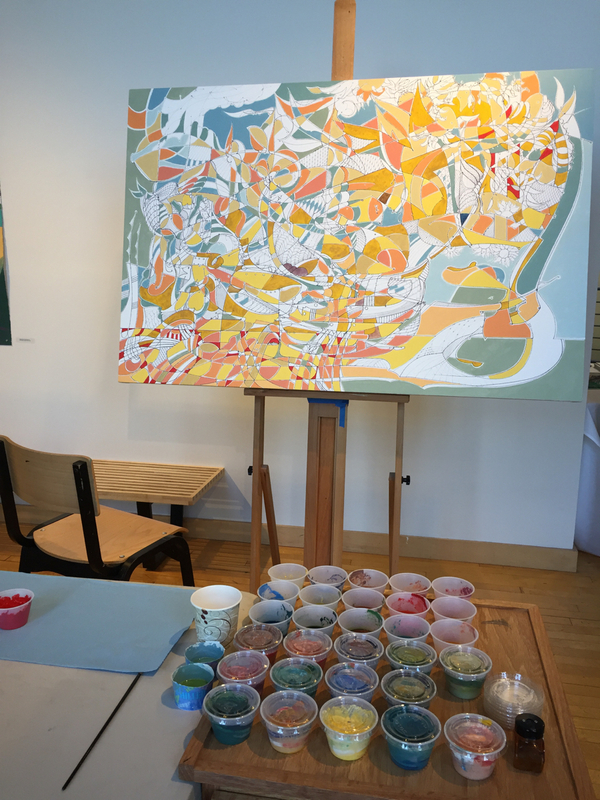 On the first day I began work to stretch the 60 x 40" canvas, visiting some of the art classes to make introductions and see what students were working on, and had the first look at Grubbs Gallery, which adjoins the painting studio. 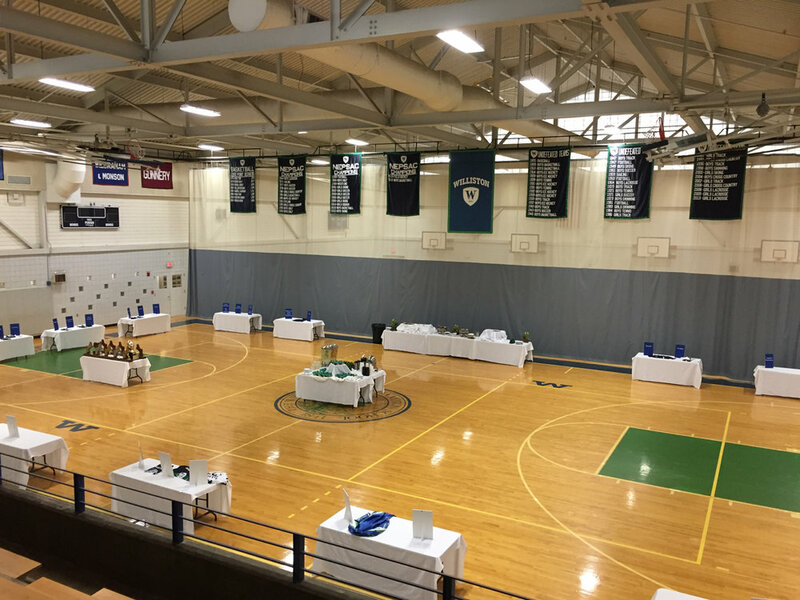 Grubbs Gallery is a gorgeous, cavernous space with floor to ceiling arched windows on one side (more pictures later) and shares the air with the stairway connecting floors such that between classes the students' footsteps and voices fill the space for a few minutes. It was a treat to stretch the canvas in the painting studio. Being surrounded by easels and cabinets full of paint felt like home while the artworks in progress of students gave good company. I had been working a lot with paper works and panel for the last year, so it had been a while since I had stretched a canvas, and I revisited how enjoyable it is to transform the loose canvas, stretcher bars, and gesso into one clean, solid future-painting. Below are some more pictures of Grubbs Gallery after I situated the primed canvas and had begun drawing on day two. The natural light was enormous and in conjunction with the track lighting made for a pristine work environment. I was due to give a short talk at a school assembly in front of all the students and faculty the next day, but so far some gallery visitors had started coming through and making introductions. Below is a rough depiction of the stages of the drawing. I had arrived at an idea for the painting after spending some time walking around Williston and visiting with some of the art classes. It struck me that a school somewhat serves as a great and bustling vessel, transporting groups of students from the inception on the first day through to their departure on graduation. I recalled the way I had faced the future as a recondite shore growing ever closer as graduation neared. 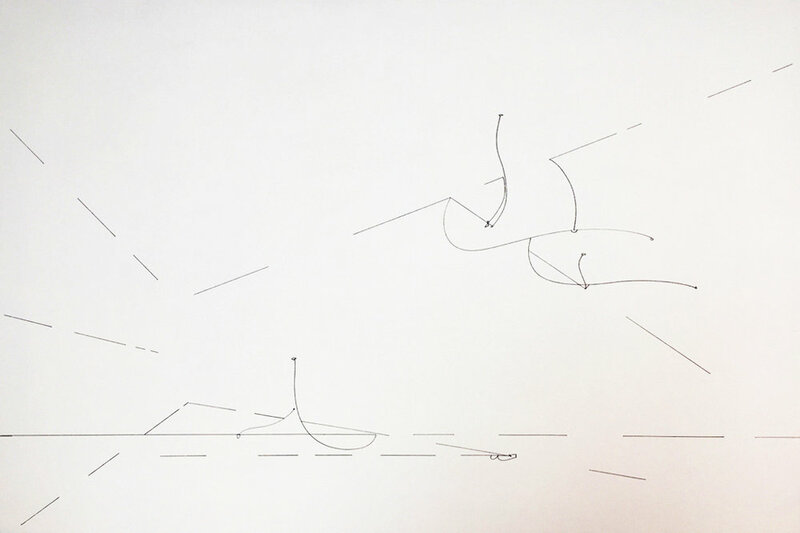 I thought a theme of voyage and courage toward the unknown fit well, so imagery of a ship approaching a new and abstract destination formed the architecture of line work. Given that this painting would have a very set deadline (in the form of the return flight to Idaho), constructing the composition progressed with steadfast deliberateness and in a way that would allow color to take a prominent role in either pronouncing or merely hinting at some of the forms. The first few days gave way to a mixture of drizzle and rain. Williston's campus is undeniably beautiful, dotted with mature trees both skyscraper and sleek as well as scraggly and well-read. 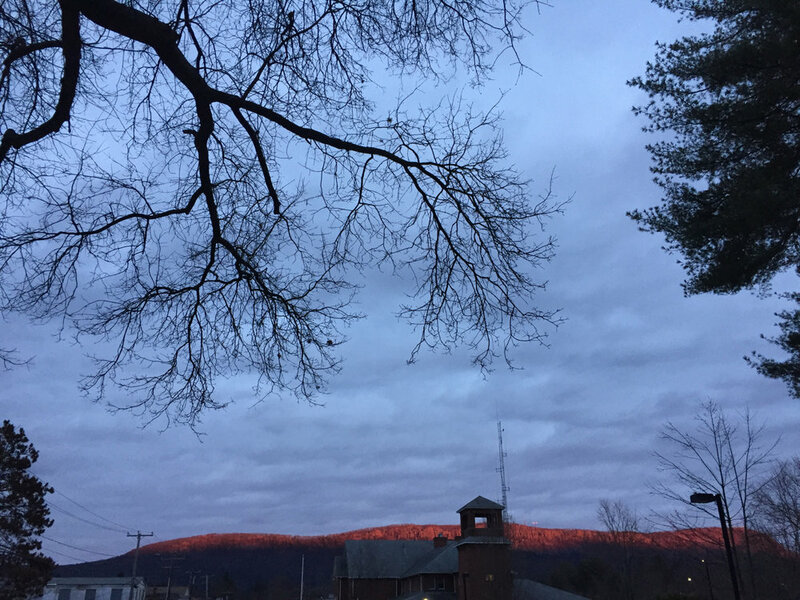 Below are pictures of: a brief alpenglow at sundown, a view over the water from the Art Department's second-story office in Reed, and the interior of the Williston Athletic Center's basketball court where fifteen minutes later prospective students poured in during a campus visit event. 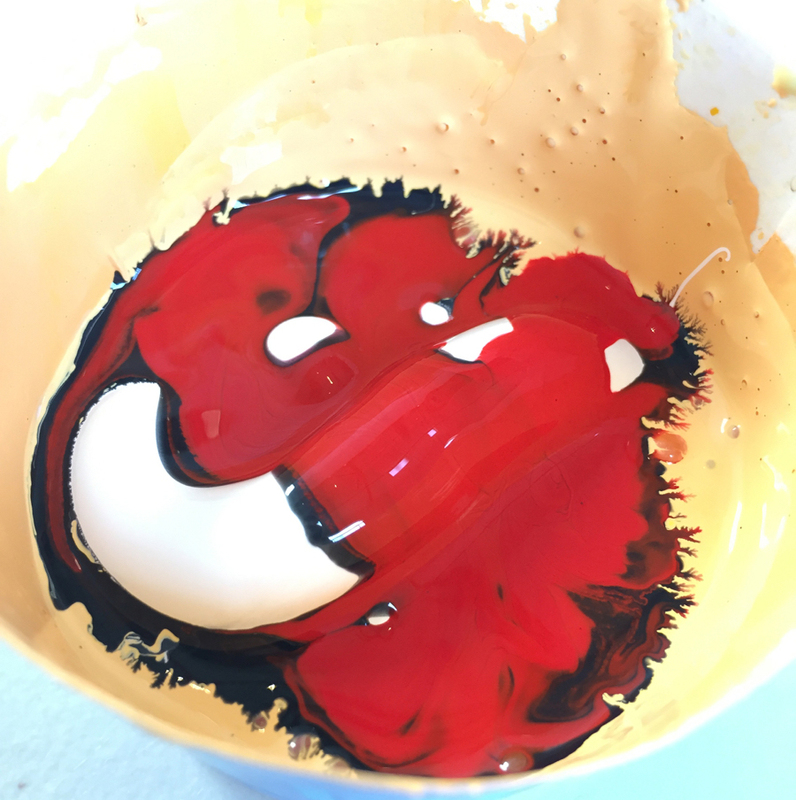 With the drawing portion adequately progressed, mixing paint was next. 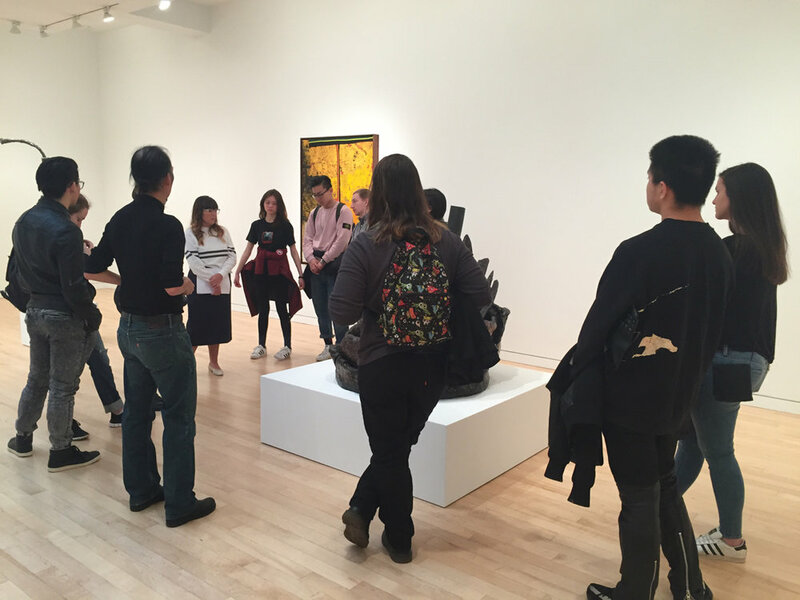 On Friday a trip into New York City was to take place with the art instructors and the Williston Art Scholars. 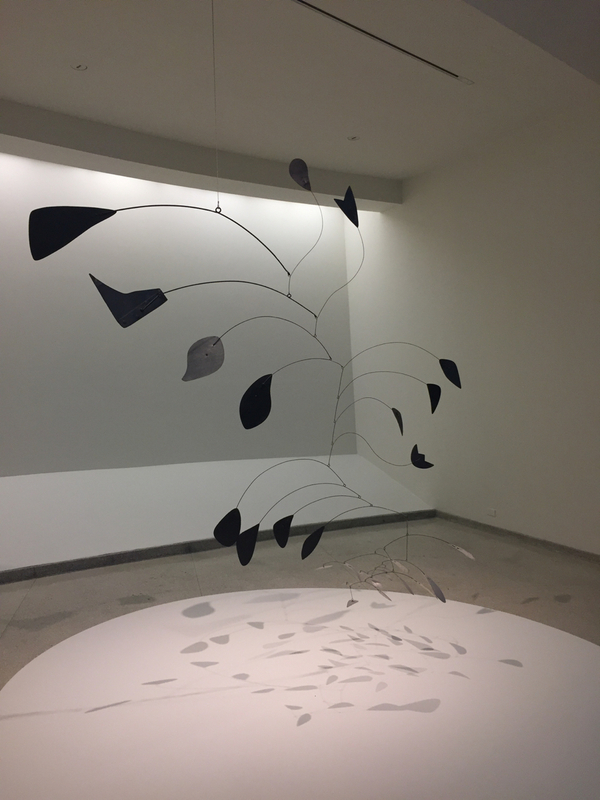 An alumna of Williston is a representative at Gagosian Gallery, so the plan was to take trains into the city to visit Gagosian and be treated to a tour and talk about the work there and then head to the Guggenheim before returning home. The journey from Easthampton to the City took about three and a half hours, which was filled with excited discussions about, well, everything. We were a small group of 12 (the three art instructors Natania, Ed, and Dan, 8 students and myself) so we made excellent time. After a subway trip uptown, we were excitedly hoofing it on our way to Gagosian on Madison. Once up the elevator, the space definitely makes a presence. 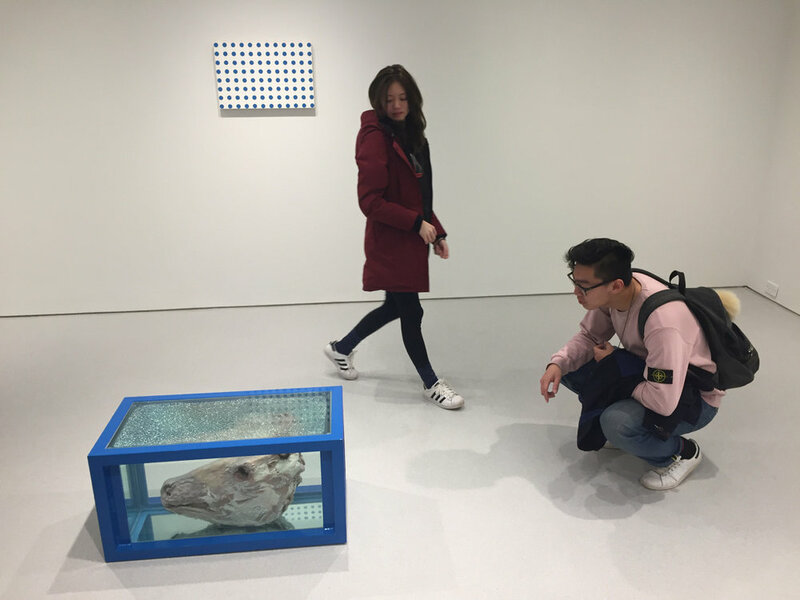 We passed by the Damien Hirst section and were soon greeted by Allison Kinsey Robb, the Williston alumna who made time to walk us through the Sterling Ruby exhibit and discuss his work with us. 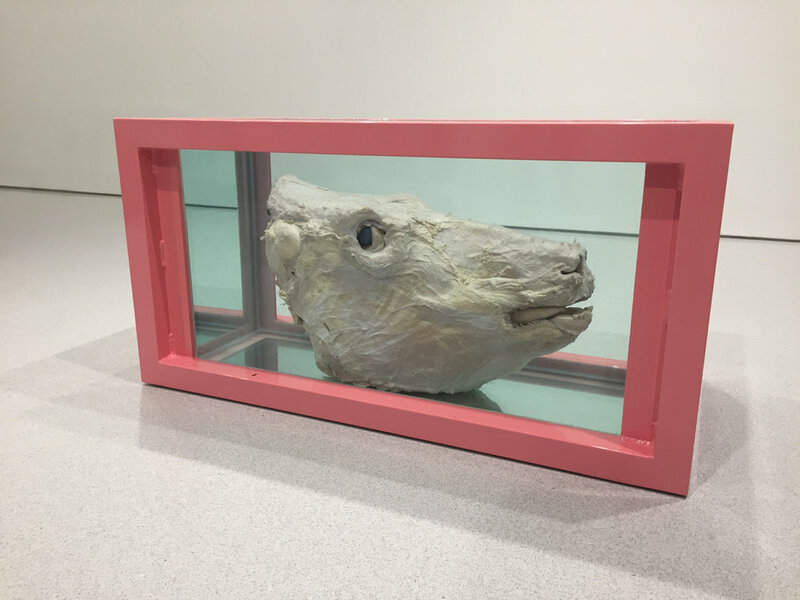 We learned about his process with painting, assemblage, and ceramic construction work that involves motifs of destruction, identity, and the struggles of creation. 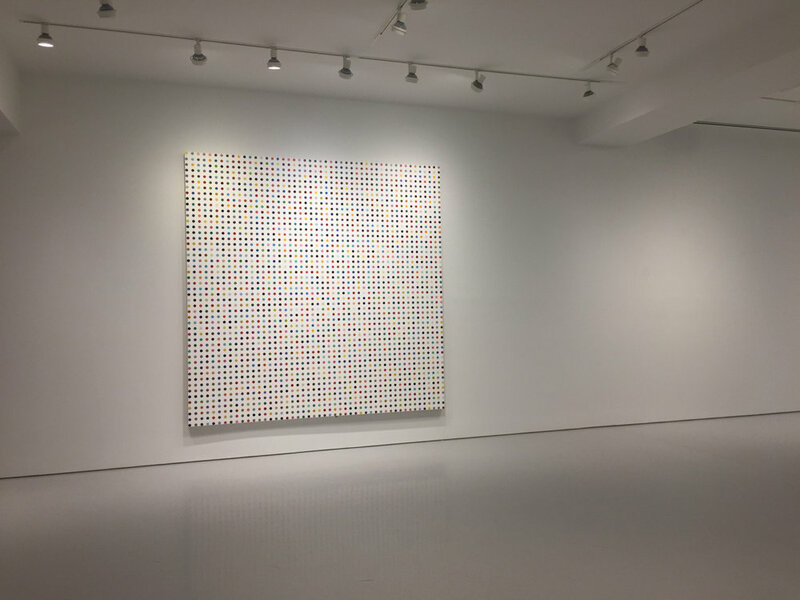 Next, we examined Damien Hirst's spin paintings, dot paintings, and selected formaldehyde works which made for lively discussions during and at lunch right afterwards. After lunch came the Guggenheim. The day was full of discussing the students' projects back at Williston and relating the works we saw with our own ideas about art. 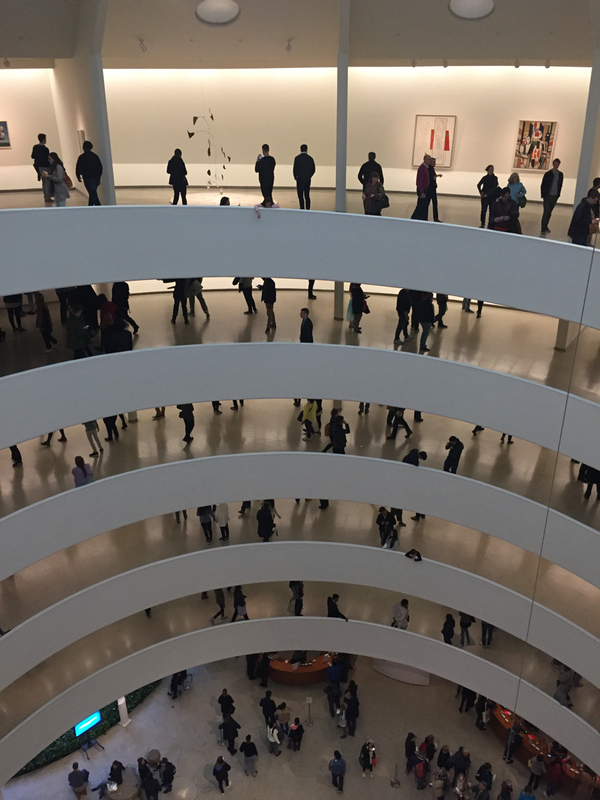 The broad-sweeping modern art collection of the Guggenheim was an excellent contrast to Gagosian's contemporary collection and between the two spaces we left New York with a good dose of art. We arrived back at Williston well into the night and the trip went off without a hitch. 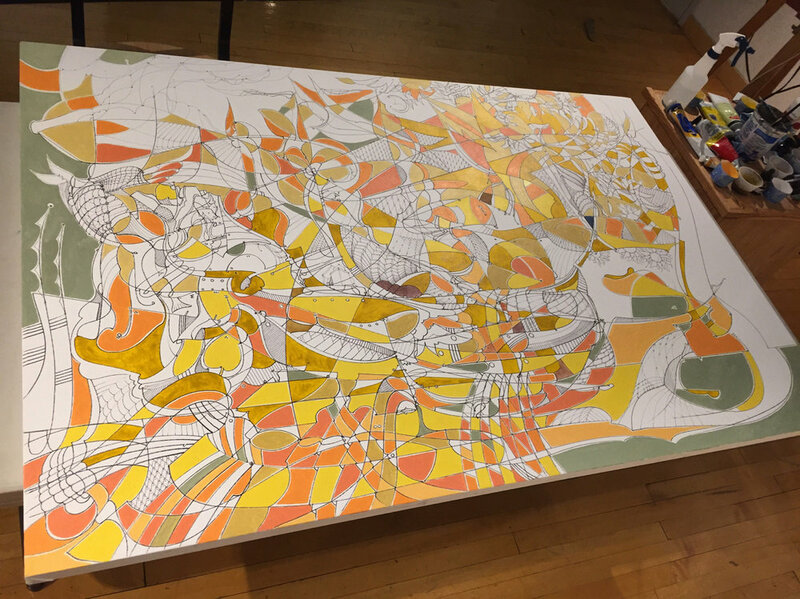 Back at Williston the next day, I began the process of building out the painting with faceted colors, adhering to a predefined concept of movement throughout the composition. At last the sun made a triumphant return and below are some common visages of the campus seen while walking. 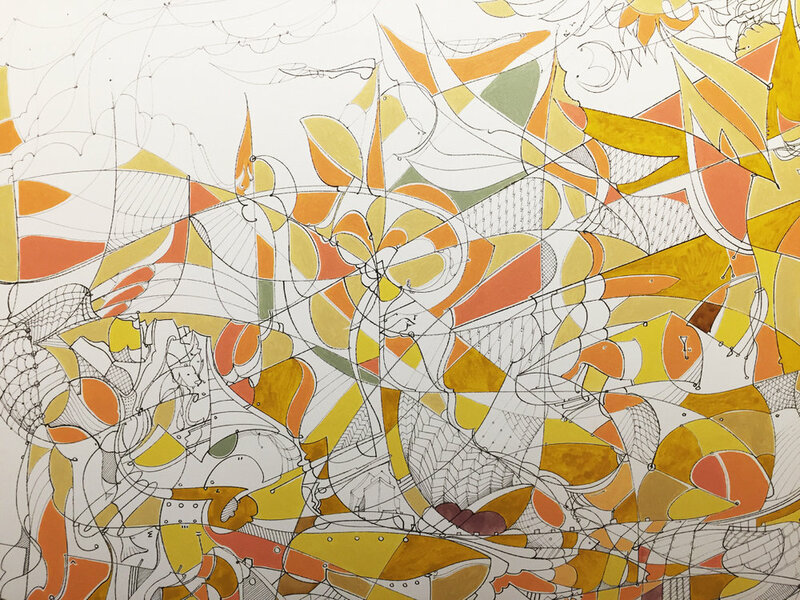 Slowly the canvas took form as I began with warm hues to create an ascension from horizon to sky. 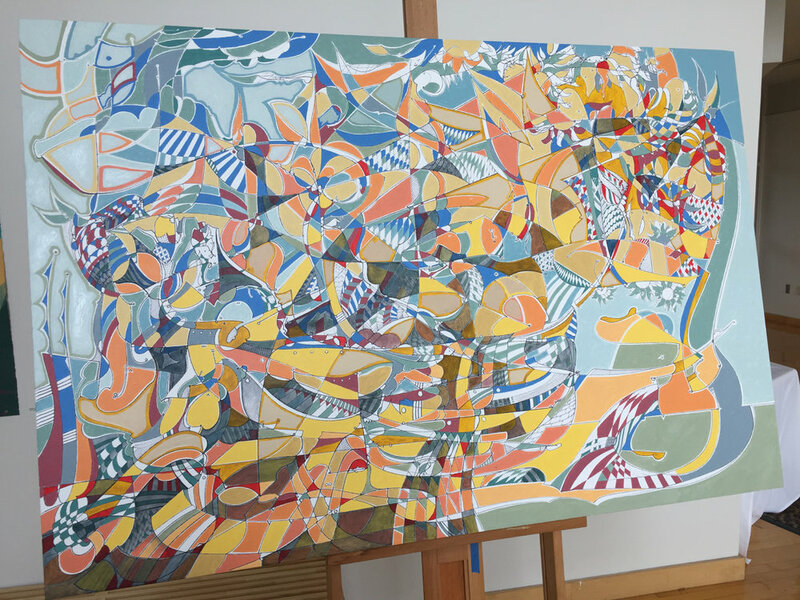 Once the cooler recessive areas took shape the painting began to more closely resemble the vision as it moved from drawing to articulated color facets, and then some accelerative, louder enclaves of red and blue entered. 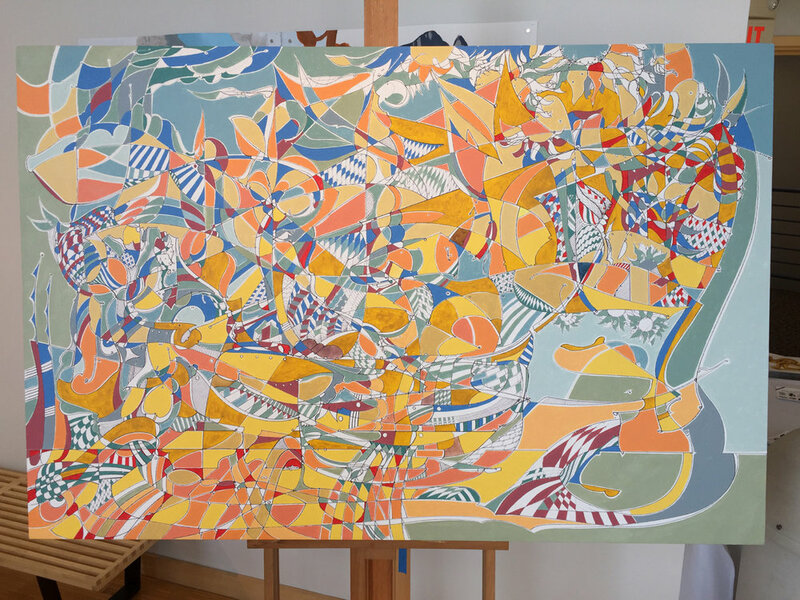 This was all part of the process to meld the linear aspects of the composition with the directionality formed by colors that both reinforced and contradicted one another. 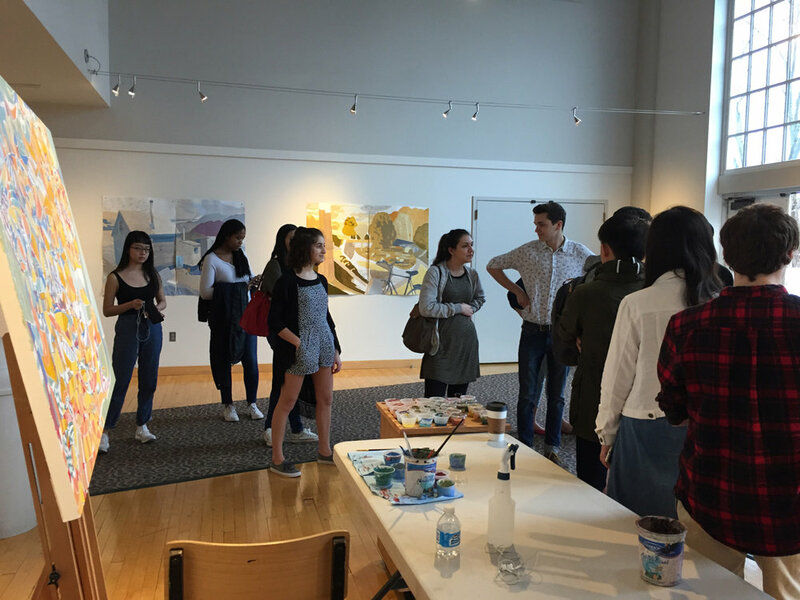 As the visit progressed and awareness grew that a painting was underway, more and more visitors came to Grubbs Gallery in the form of both curious individuals and entire classes. 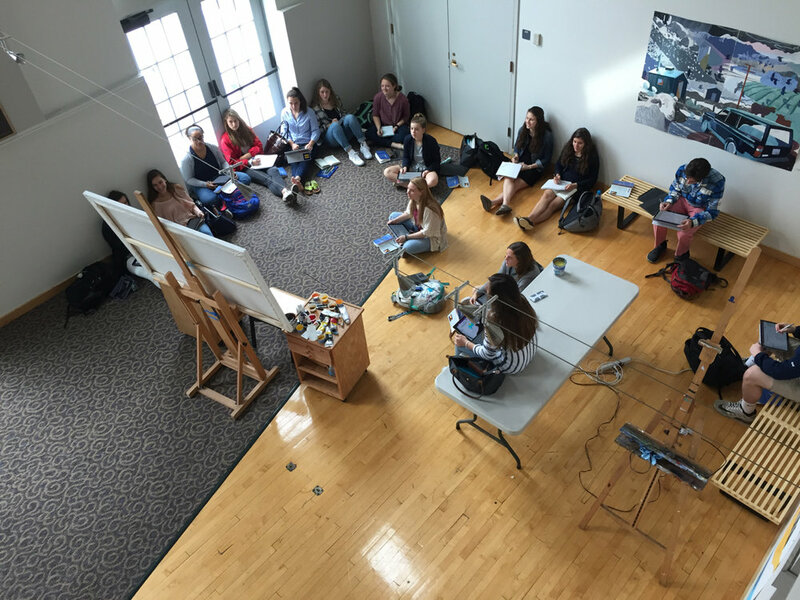 An English class interpreted the work in relation to literature, composing short writings about its meaning, and art students and members of the athletics teams as well as all varied focuses began to drop by regularly to see the progress. 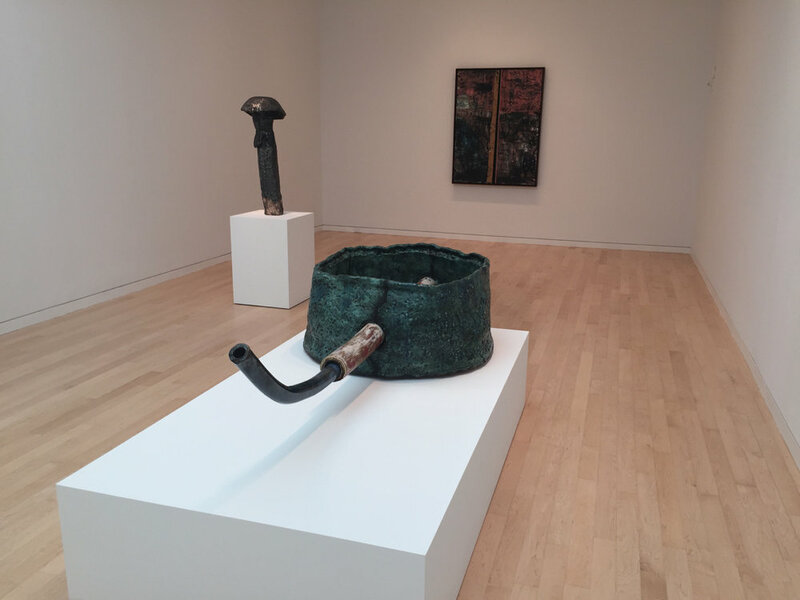 There is a high level of respect maintained at Williston and the astute questions asked and discussions embarked upon in Grubbs Gallery during the visit left a big impression on me. The dance studio, like the painting studio, was an adjoining space to the gallery. Each afternoon, dancers would rehearse choreography with the doors open and music would fill Grubbs Gallery. To cool the dance studio the doors to the patio were opened, thereby mixing sounds of birds outside when the music was paused and choreography was being discussed. So, each afternoon for a couple of hours, cool outside air, sun, music and a lot of laughing populated the space and worked their way into the painting. 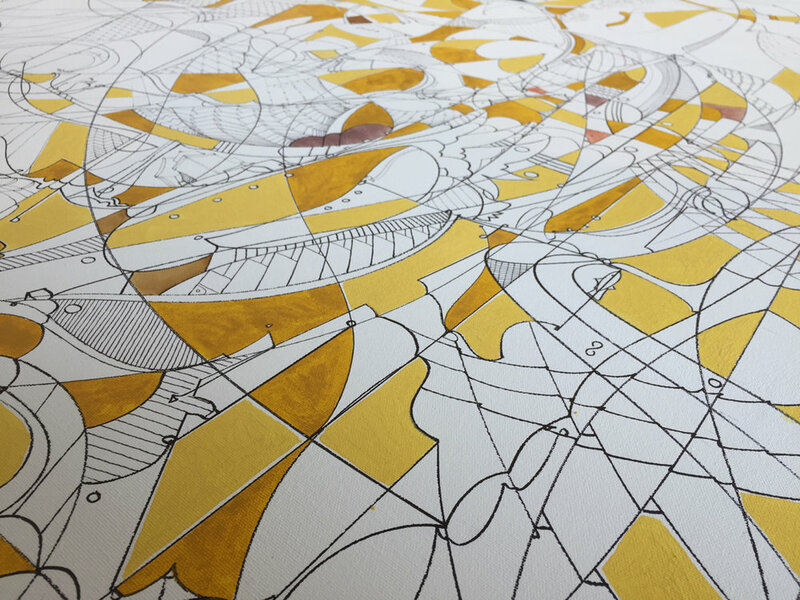 The process of faceting continued as I left thin bare-canvas pin lines between the black line work and colors. 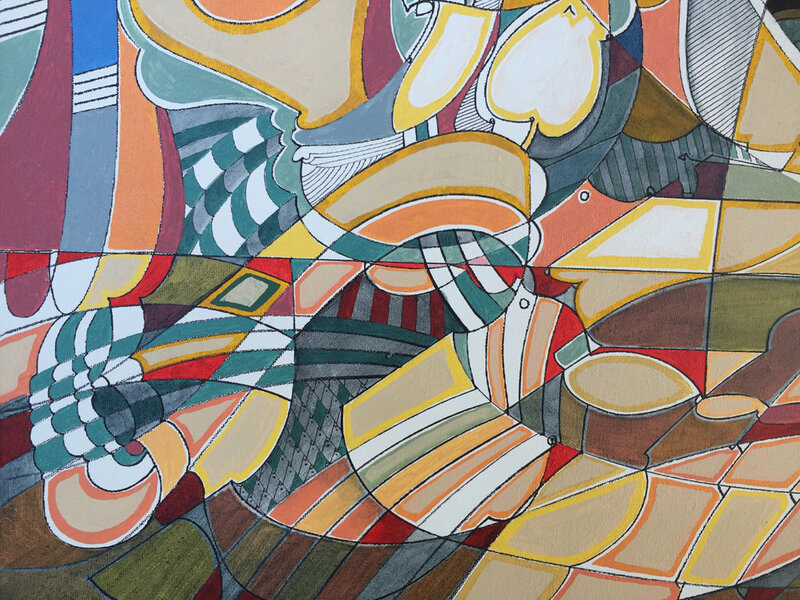 These areas of bare canvas give a distinct effect to the way the eye perceives the movement; it's a nuanced tension between the black pen, the white canvas, and the thickly additive color. Rather than the colors finding each other directly in contact or overlapping, it becomes more an assembled collection of disparately isolated contributions to the whole with a unifying but undulating variation in white space. There is a blurring of where the white spaces are lines and where they are a part of the chorus of colors. In the contemplation of the unknown, thematically this isolation is intended to represent the singular moments that happen along the way. These moments form the aggregate experience in circumspect, but must be achieved only one at a time. Below are some incidental photographs of paint and my hand with paint. Once I arrived at a place where the canvas was balanced, I began then to bring form into play by receded areas through washes of blue/black. 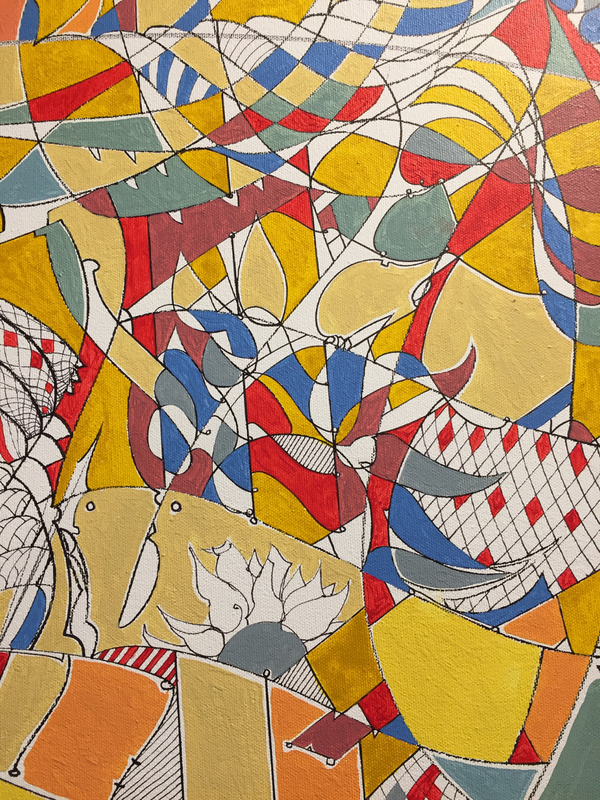 This part of the process can be a little risky as entire groups of facets are subjected to unification through similar tonality and since this particular painting had such vibrant spectrums of unabashed color, the balance can be even more precarious. 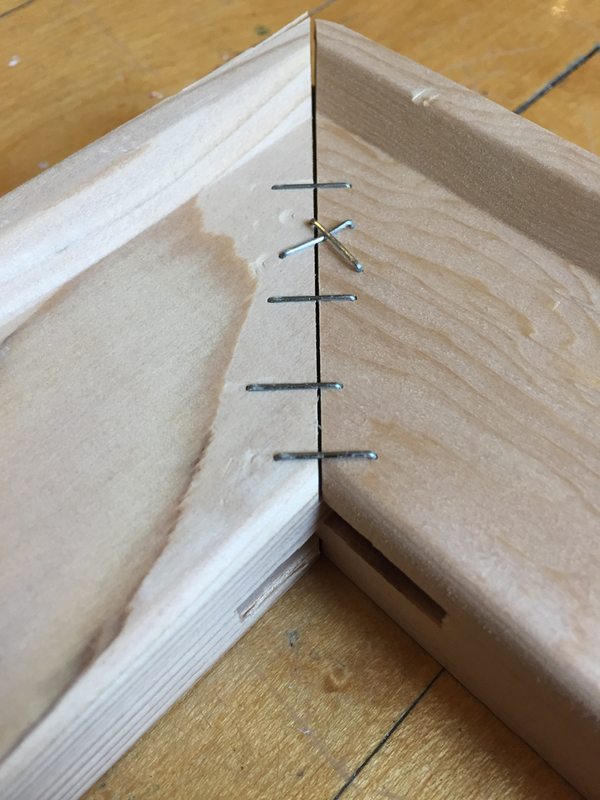 Fortunately, after the initial small section was completed, apprehension was relieved and I felt enthusiastic about continuing. I took a lot of photos from when the sun lowered and the campus turned cooler. With only a a couple days left in the visit, the rhythm and idiosyncrasies of Williston had started to become familiar. Since daily life of the students and teachers occurs so predominantly on campus, there were things that went unnoticed to me on the first day that had at this point become welcomed sights and sounds; the way the dining hall grows in excitement and movement at dinner; the lengthening shadows on the lawns as footballs and music make brief appearances before study hours; the way Reed fills with muted piano as practice rooms fill with musicians; the moments between classes when students course through the quad calling out to each other. I could tell that this is a place one misses after leaving. Below are some details from the painting that was finished the next day. I made some adjustments with the yellows and identified areas that needed some push or some pull as I made the final additions. 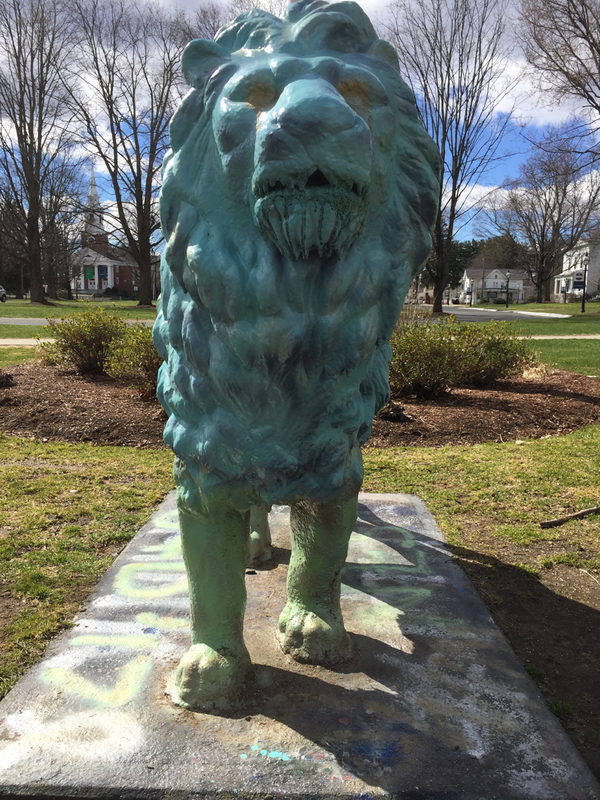 The title 'The Welcome Unknown' was conceived of before the painting was stretched, during the first two days becoming acquainted with Williston, the students, teachers, and administration. It felt very fitting to finally write the words on the back of the completed painting the day before departure. What had previously been a world unknown to me had in so many ways become a place full of people and memories that I feel fortunate to have met and shared time. 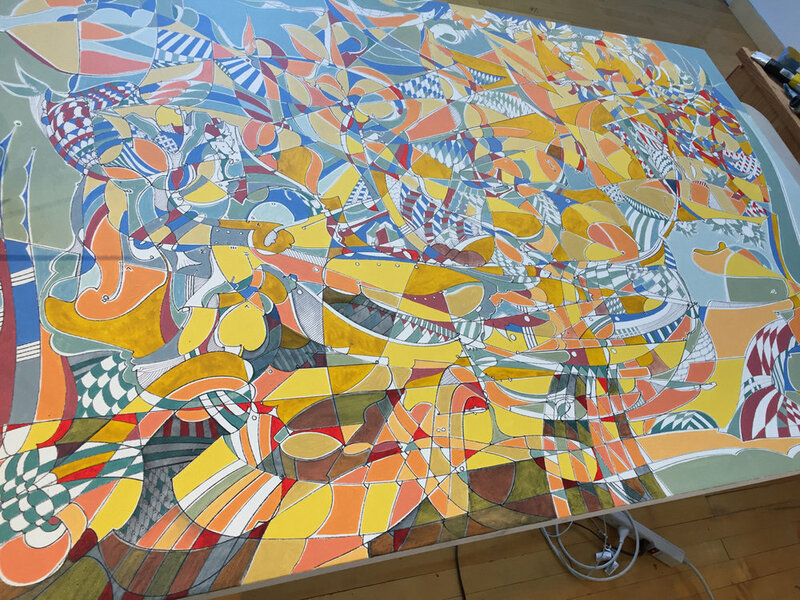 Below are some pictures of the painting after I had cleared up my work tables and it alone remained in the Gallery, new and waiting. Then there is a full image of the finished painting as well as the time lapse video. Thank you for reading. I would like to say a huge thank you to Williston's Natania Hume and Dan Roe for being such welcoming and warmhearted hosts and guides for my visit. I'll be forever grateful for the company and laughs we shared.